In February 2014, House Exam inspectors began to inform our home inspection clients and agents about Corrugated Stainless Steel Tubing (CSST), a yellow-jacketed, flexible gas piping material used in home construction around the US since the mid-to-late 90s. I posted “Home Fires Traced To Gas Piping (CSST) Not Properly Installed” back then to give consumers a heads up about the importance of reporting deficiencies in this kind of gas piping. At that time, House Exam home inspectors began to write up deficiencies when we observed them at a home. Since that time, there has been a lot of controversy over the yellow-jacketed variety of CSST. There have been a number of law suits, financial settlements, as well as claims made by both CSST manufacturers and those who think the material itself is defective. In mid-July scores of home inspectors met for an entire day in College Station to hear from experts on the subject. Reflecting the growing controversy, our licensing agency, the Texas Real Estate Commission, has taken steps to begin to educate the home buying public, related to gas piping systems in the home. 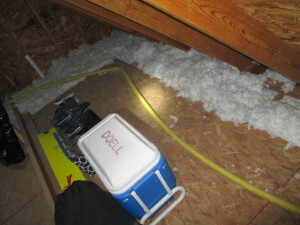 On September 1, 2015, home inspectors in Texas will be required to add a new deficiency to their list of mandatory safety reporting: “lack of bonding on gas piping, including corrugated stainless steel tubing (CSST).” Specifically, if inspectors cannot observe that the metal gas piping in the house is bonded (that is, connected properly by a bonding wire) to the electrical grounding system, we are to report such a condition as an electrical deficiency, and recommend further evaluation by a licensed electrician. Current thinking among gas industry and electrical code authorities, is that bonding of these gas lines may be more critical, where CSST is present for the gas piping, than where rigid black pipe has been used. Although the new TREC Standard makes no such differentiation. Instead, inspectors are to report lack of bonding on gas piping as a deficiency, no matter what material is used. House Exam inspectors have had a policy in place for more than 18 months, to report improperly installed CSST as a deficiency, and to recommend further evaluation by a licensed plumber. 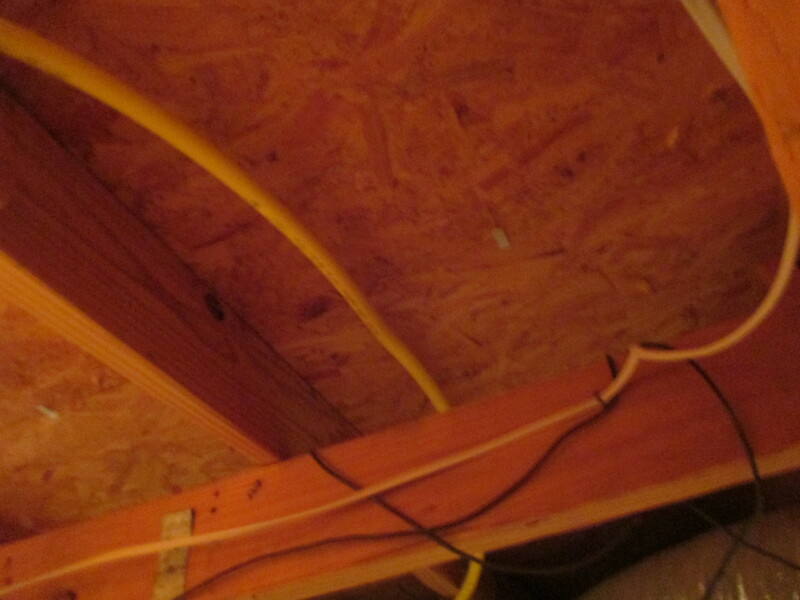 Examples of improper installation would include such conditions as: routing the tubing across the decking in an attic, where foot traffic could damage it and cause leaks; routing tubing close to the roof decking, where nails could puncture the tubing during a roof replacement; not properly suspending the tubing for safety, and many more. These conditions require that a licensed plumber make certain that repairs are made, and then test the gas lines for possible leaks. We will keep our clients, agents, and the public posted on the issues related to CSST. Remember ALL Texas inspectors must begin to use the new report form REI 7-5 on or after September 1, 2015. And all inspectors must begin to look for bonding of the gas lines to the electrical grounding systems on that date, as well. House Exam inspectors have been reporting deficiencies in the piping since early 2014, and we have been using the new form since early July. If you have concerns about the safety of the gas piping in your home, we can come and check it out for you and give you advise if repairs or upgrades are needed. We want to be your home information professionals for life. If you have questions or concerns of any kind, whether we inspected your house or someone else did, give us a call at 817-797-2461. If you’re looking for confidence in your purchase decision, we are the company to call.